When I see a fashion show I don't only pay attention to the clothes but also to the hair and make up. My favorites this season were Chanel and Dolce & Gabbana. I loved Dolce & Gabbana bronzed skin, apricot cheek. The focus is on the eyes with an iconic cat eye that instantly gives a vintage feel that I love. And with a pinky peach lip the look is complete. Pat McGrath was the head Make up Artist for the show. 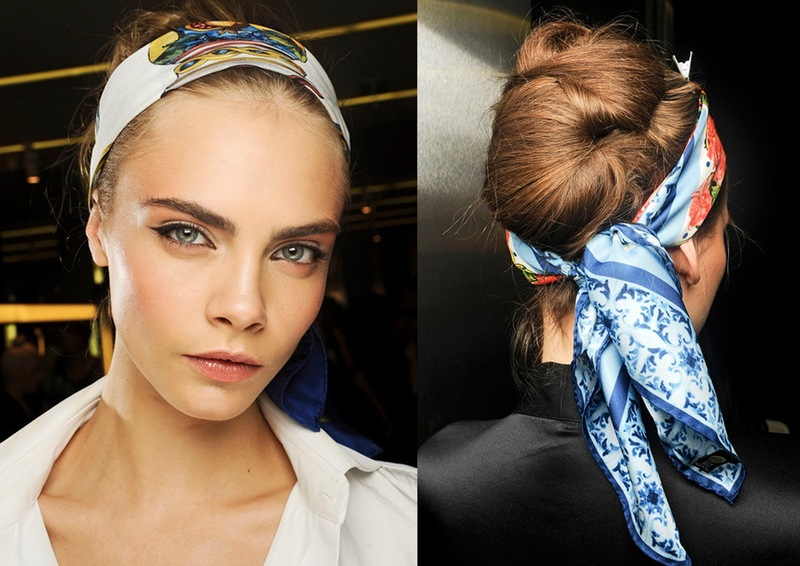 As for the Hair it was done in a Updo style decorated with a silk scarf. Guido Palau was the head Hair Stylist for the show. Chanel had this amazing metallic eye that was the focus of the look, the rest of the skin was kept very natural with a soft pink lip that finished the look. 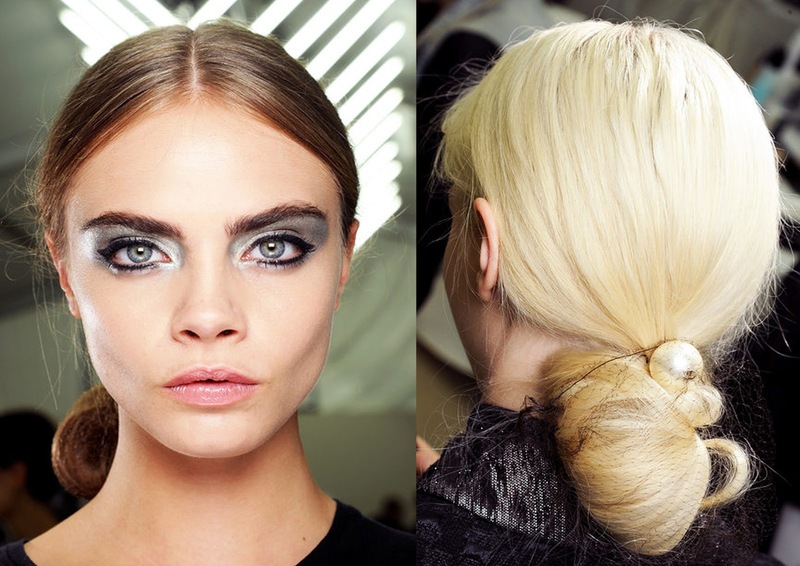 The hair was done in a messy bun style and a pearl was added that made the look more special. Sam McKnight was the head Hair Stylist for the show.